To schedule an appointment, call 1.800.3.ADVOCATE. Or just walk in. Get easy access to outstanding immediate care across the Chicago area and central Illinois. View a full list of Services and Symptoms. Don't need care right away? The MyAdvocateAurora Patient Portal allows you to schedule appointments, refill medications, send messages to your provider, view lab/test results, and syncs with your favorite health and wellness app. Download the apps for Apple or Android today. Welcome to Advocate Medical Group (AMG). When you make an appointment with one of our doctors, you gain access to the highest quality care in a timely and convenient manner. 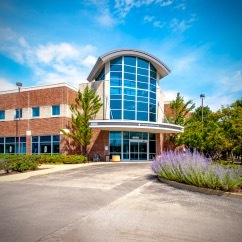 AMG is part of Advocate Health Care, the largest health system in Illinois. The more you know about your health, the more you can do to take control of it. health enews provides expert information about the latest medical advances, preventative measures, and health lifestyle choices.